Here at Herbalife Nutrition, we understand that your goals and needs are unique to you. 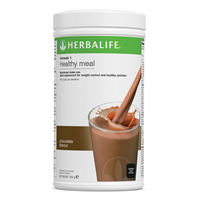 Whether you are looking to lose weight, build or maintain muscle mass, or simply improve your overall wellbeing – find your solution with the Herbalife Nutrition product range. Carefully crafted and underpinned by science, our high-quality supplements, protein shakes and sports nutrition products are specifically designed to meet your individual needs.